Expanse Festival is that March festival I’ve known about for a few years, but have always been too intimidated by the idea of going to a “movement festival” to check it out. But that’s changing this year! With Nancy McAlear’s physical theatre piece, The Contract, providing a bridge between theatre and dance, I’ve decided this is the year I check out Expanse. To get prepped for the festival, which runs March 11 – 15, I chatted with Festival Producer, Murray Utas. That ancillary programming Murray is talking about includes The Lobbyists (no, not the political kind) who will be performing in – you guessed it – the lobby in between mainstage performances. This year The Lobbyists (programmed by Amber Borotsik) include: Gabby Bernard, Zoe Glassman, Lianna Makuch, Oscar Derx, Bill Yong, Nina Haggerty Centre for the Arts and The Dance Exchange. Nancy McAlear’s The Contract – a physical theatre response to Marguerite Duhas’ book, Blue Eyes, Black Hair. HYPER_ – Freya Björg Olafson’s multimedia piece exploring the limits of perception. Native Girl Syndrome – Lara Kramer’s look at addiction, loss, and alienation. Supplementing the performance will be four workshops, taught by the artists visiting from other parts of the country. While all workshops are taught by dance professionals, Murray says participants themselves don’t need to be at a professional level and stresses that any of the festival staff will be able to advise which workshops are best for your interest and level of movement experience. 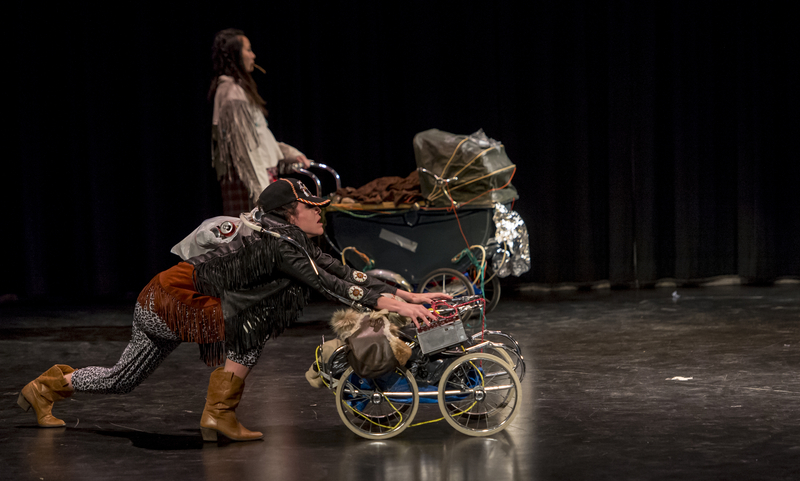 Expanse Festival runs March 11 – 15 at the ATB Arts Barns. Schedule and artist information is on Expanse’s website, and tickets are $16.50 (plus GST) through Fringe Theatre Adventures. PS – The I Don’t Get It Dance podcast, hosted by Fawnda Mithrush and Paul Blinov, will be camped out in the lobby during Expanse, commenting on the shows they see as well as talking to audience members about their thoughts on the performances. Check out the Expanse Festival episodes from the podcast’s first season to get a taste of what you can expect.